Naturally we are back with our annual Cyber Monday Tablet Deals 2018 list of all the good Cyber Monday and Cyber Monday week sales in tablets and 2-in-1 tablets. And we’ll keep updating this list through Sunday, Monday, and Tuesday since each retailer and each brand operate with each their own Cyber Monday and Cyber Monday Week sales structure. 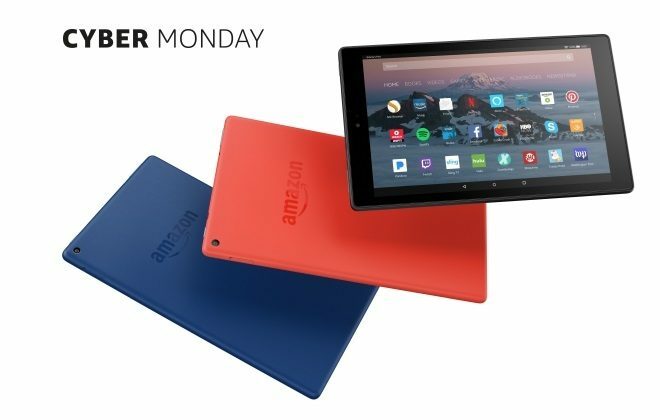 Amazon’s 7-inch Fire 7 tablet is on sale for just $29 uring Cyber Monday, and you can’t get a tablet cheaper than that. 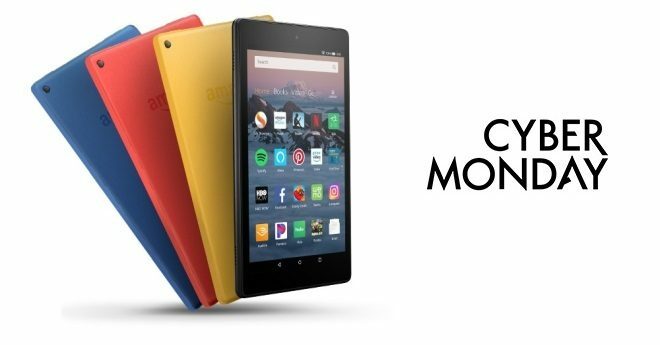 The larger 8-inch Fire HD 8 tablet is also very cheap during Cyber Monday, as it’s on sale for just $49, with a saving of $30. The 10.1-inch large Fire HD 10 is also on sale with as much as a $50 Cyber Monday discount, with options of black, red, or blue. The brand new hands-free smart device dock from Amazon is also treated to a Cyber Monday sale with $40 off. 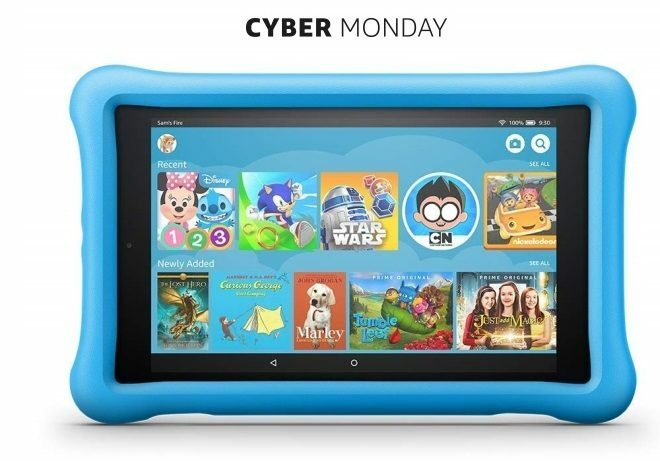 Similar Cyber Monday tablet deals can be had on the Kids Edition tablets of the Fire tablets, on both the 7-inch, 8-inch, a nd 10.1-inch tablets with 2-year warranties and free replacement tablets should it break. 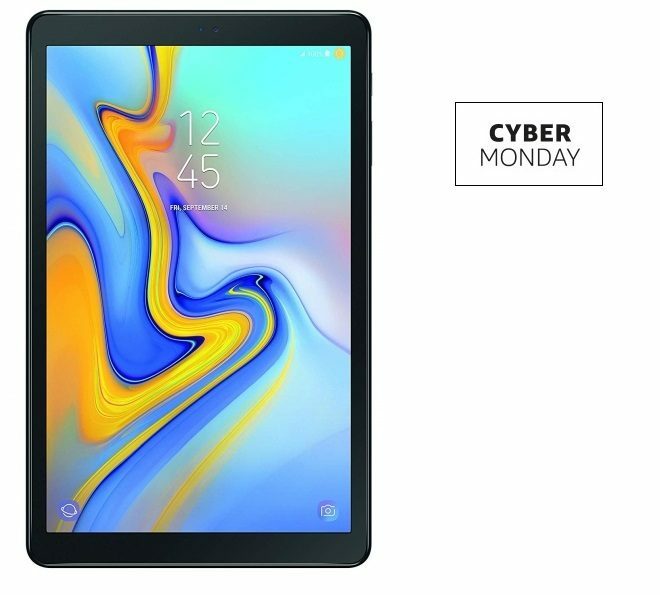 This is the first time there is a Samsung Galaxy Tab A 10.5 sale, and we save $50 for Cyber Monday on Samsung’s newest Android 8.1 tablet. 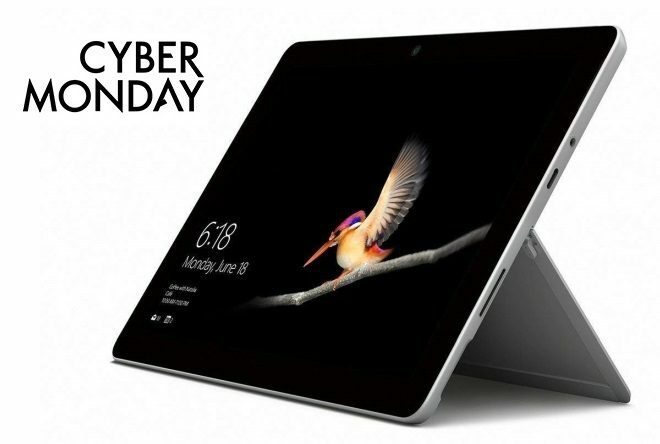 Through Cyber Monday on November 26 there will still be a sale on Microsoft’s Surface Go, their brand new 10-inch Windows 10 tablet with optional keyboard and digitizer pen. 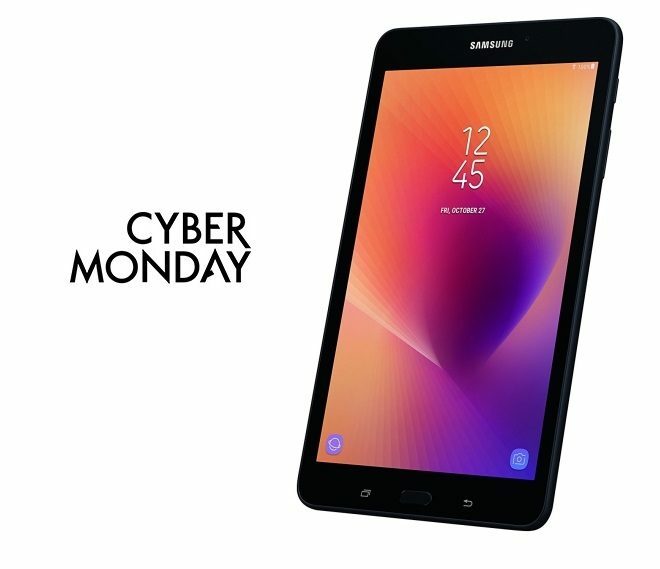 Another Cyber Monday Samsung deal is on Samsung’s popular 8-inch Android tablet the Samsung Galaxy Tab A 8 in either black or siler. 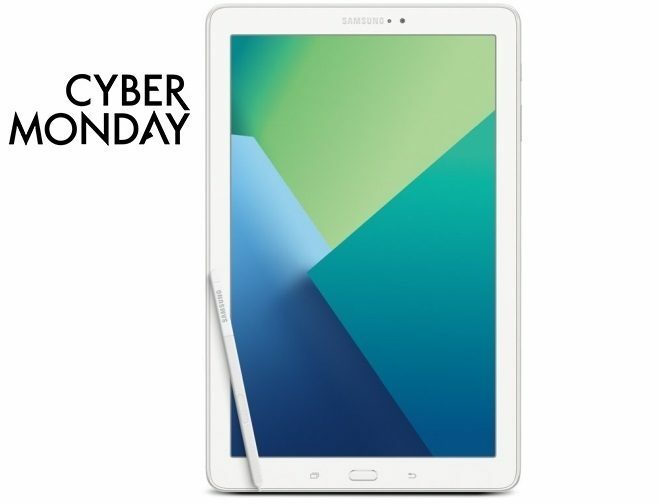 The 10.1-inch Samsung Galaxy Tab A with S Pen, one of Samsung’s most popular tablets ever made, is on sale for Cyber Monday in either black or white, with the pen integrated in the back of the tablet. 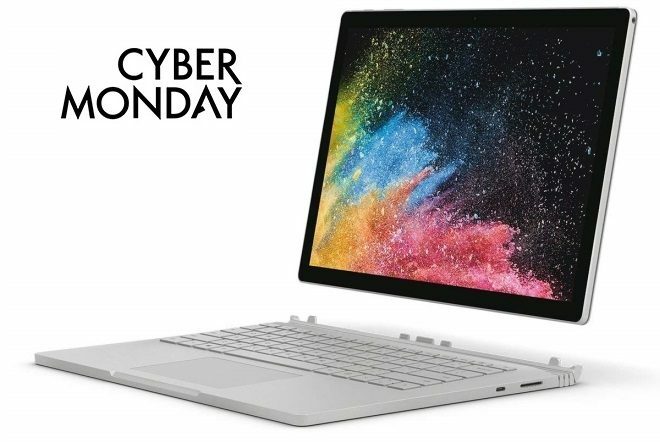 With Cyber Monday tablet deals on the Surface Book 2 ranging from savings of $250 to $400 off, this powerful full featured Windows 10 2-in-1 tablet could easily find its way to more people for Christmas. 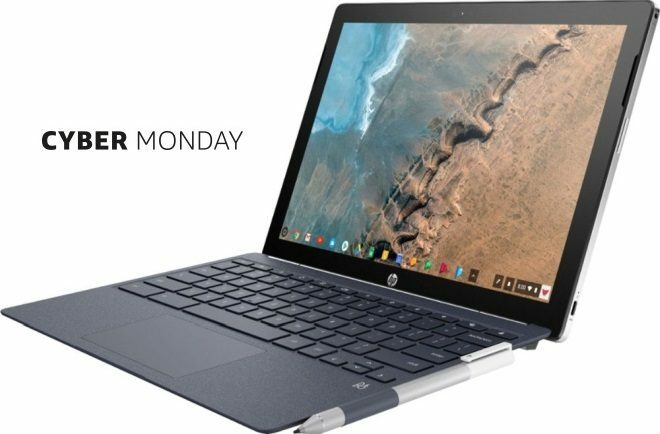 As Chrome OS tablets started to hit the market in 2018, it’s not surprising that we get some Cyber Monday Chromebook deals either, starting with HP’s 12.3-inch Chromebook 2-in-1 tablet Chromebook x2 which comes ith both keyboard and pen. 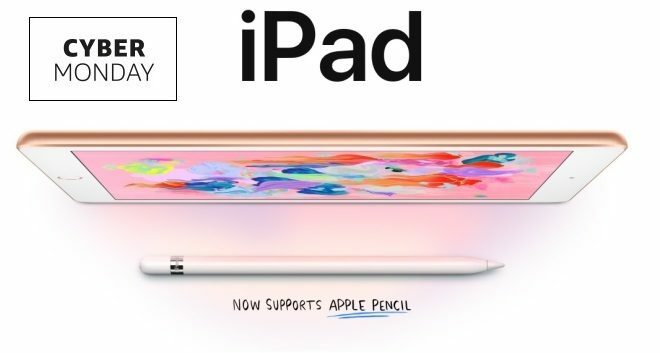 There’s currently a Cyber Monday iPad sale on the newest Apple iPad 9.7 2018 even with as much as $80 off, which is unprecedented for an iPad. 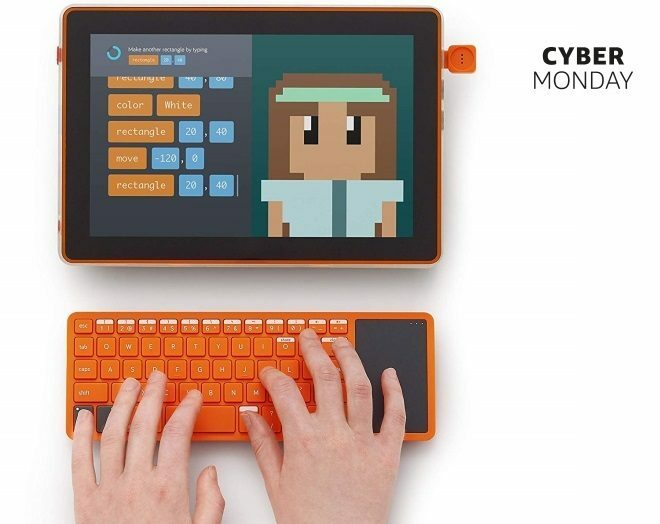 The recently launched Kano Computer Kith Touch that enables people to assemble their own touchscreen device and learn to code is cut a little bit for Cyber Monday Week, which could make it a nice Christmas present for younger tech lovers. 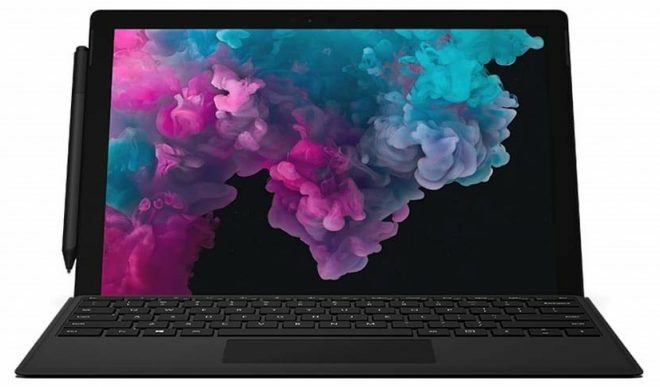 It’s also possible to get a Cyber Monday Surface Pro 6 deal on the Intel Core i5 version with 128GB storage and a keyboard for just $769, which is as low as the price is ever going to get, judging by how Microsoft Store price their products throughout the seasons. 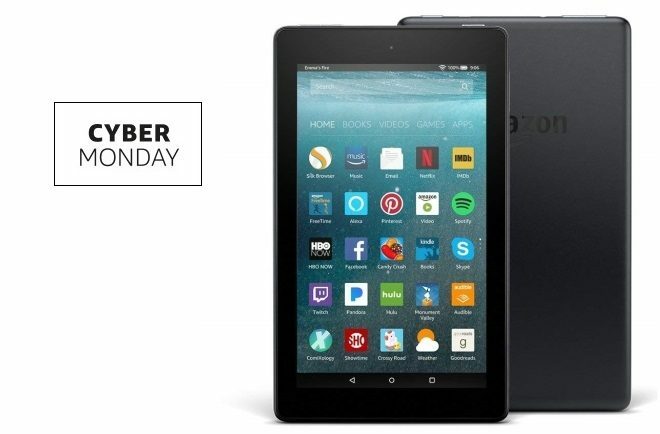 We’ll update if even more Cyber Monday tablet deals surface online and add them to our list throughout the hours of Cyber Monday and Cyber Monday Week 2018.